Whether you are a novice writer or a veteran who has already had your work published, rejection is often a frustrating reality. Literary agents and editors receive and reject hundreds of manuscripts each month. While it's the job of these publishing professionals to be discriminating, it's the job of the writer to produce a manuscript that immediately stands out among the vast competition. And those outstanding qualities, says New York literary agent Noah Lukeman, have to be apparent from the first five pages. With exercises at the end of each chapter, this invaluable reference will allow novelists, journalists, poets and screenwriters alike to improve their technique as they learn to eliminate even the most subtle mistakes that are cause for rejection. 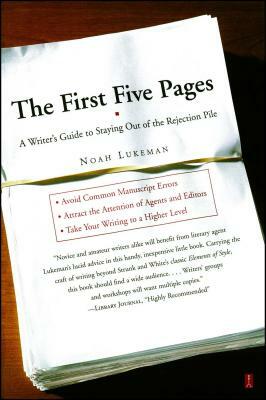 The First Five Pages will help writers at every stage take their art to a higher -- and more successful -- level. Richard Marek Editorial Director of Kirkus Reviews and former book publisher Intelligent and entertaining instruction...it should be read by all novice writers -- and by those books are already published but who intend to write more.